You can stack plates, you can stack laundry, but did you know that you can stack coupons too? Stacking means using more than one coupon for the same item. Increase your savings by combining a manufacturer coupon with a store coupon for the same item, or take it to the savings extreme by combining a manufacturer coupon with a store coupon, a sale and a rebate or coupon app. Note: Not all stores allow coupon stacking. Review each store's coupon policy to see where you can employ this trick. Did you know that the Sunday coupon inserts vary from region to region? It's true, and it's great news if you like to travel. Get in the habit of picking up a Sunday paper whenever you go out of town, and you're likely to score coupons that you've never seen before. If you find any really good ones, go ahead and buy several papers while you can. Did this week's paper have a bunch of good coupons for items you love? Then, consider buying an extra copy – or copies. If you know that the coupons in this week's paper will save you $12, then spending $2 on another paper just makes sense. Find a store that discounts their unsold Sunday papers on Monday morning. Buy your newspapers at Dollar Tree, where you'll pay just $1 each for them. Limit three. Swing by your local coffee shop, fast food or breakfast cafe, and see if you can pick up coupon inserts that other people left behind. Ask friends, family and neighbors to save their inserts for you. Like freebies? Then try this: combine a buy-one-get-one-free coupon with a buy-one-get-one-free sale, and you'll get both items free. Not all stores allow this, but when you find one that does, it's a pretty sweet deal. Study the coupon policy for each store that you like to shop at, to see where this is allowed. Lots of stores accept competitor coupons. Find out which ones in your area do. Then, work those coupons and sales to your advantage. Tip: Print out a copy of the store's competitor coupon acceptance policy, and bring it with you. Cashiers may not be as up on the store policy as you are. Clearance prices are good, but they can get even better. Carry your coupons with you at all times, so you'll be ready to match coupons on the fly. You never know when you're going to come across a killer deal on a product that you use and love. Most coupons specify the size of the product that must be purchased, but when they don't it's an invitation to get creative. Take your "any size" coupons to the trial size section of the store, and match them up to those pint-sized goodies. Then, load your cart with lots of free loot. Many grocery stores double coupons, but some will even triple them from time to time. Do a little research to see if such a store exists in your area. Then, keep those coupons neatly filed and ready to go. Before you head to the store, take a second to load coupons to your grocery card. 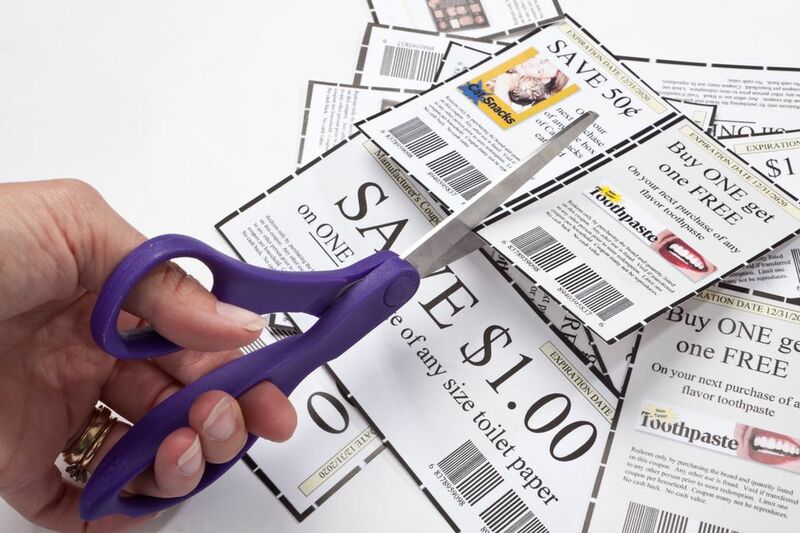 Combined with clipped and printed coupons, your savings will be record-setting. Note: You can only use one manufacturer coupon per item, whether it's a printed coupon or a digital coupon. You can, however, use a manufacturer coupon and a rebate app, like iBotta together. Coupons can pop up anywhere (and I do mean anywhere). Keep an eye out for fresh coupon sources, and you're sure to find lots.